Let's face it, learning to fly a drone/quadcopter is not the easiest thing in the world. When first starting out, you quickly realise how keeping control of a quadcopter can be a nightmare. It can also be dangerous. Furiously spinning blades can suddenly be coming towards you seconds. It happens. And it is scary! On top of the safety risks, there is the more common issue of crashing and damaging your brand-new flying machine. It is almost inevitable that when starting out you will crash a quadcopter in the first few hours of flying. This is the reason that most manufacturers include replacement blades with their quadcopters. Wouldn't it be great if there was a way to learn the basics of quadcopter flying without the safety and hardware risks? The solution comes in the form of a quadcopter flight simulator app. 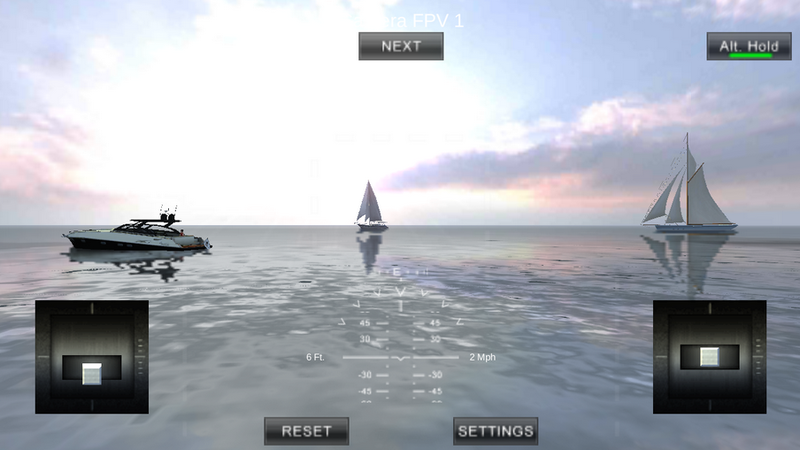 Available for both Android and Apple iOS, we found what we think is the best of this genre: The Quadcopter FX Simulator Pro by 3D Creative World. Retailing on the Google Play Store or iTunes for around 3 to 4 USD, this fantastic little piece of software will help you quickly learn the basics of quadcopter lift-off, in-air control and safe landing. And you can do all this while having great fun! From our own experience we wish that we had found this software earlier. It would have enabled us to be up and flying much quicker than when learning directly with quadcopters. Critically it would also have saved us some hair-raising moments when control was lost - and later when damage was done to our quadcopters. If you are planning on purchasing a quadcopter, we would highly recommend starting out on a flight simulator like this one. It will save you time, hassle and cash! The app includes lots of features to help you practice in a lively and enjoyable way: First Person View, Heads-up Display, Control sensitivity, Auto-stabilisation, Altitude hold and much more.